There is something about Mary, that is, Cameron Diaz, which made Benji Madden tie the knot with the famous actress with a long history of Hollywood romances behind. Benji and Cameron were first introduced by the rocker’s sister-in-law, Nicole Richie, who is married to his twin, Joel. The Good Charlotte member popped the important question six days before Christmas, which was followed by hosting a rehearsal dinner in Beverly Hills on Sunday, where Cameron and Benji exchanged vows. The couple got married in an “intimate ceremony” at the their Los Angeles home Monday night, reports People. 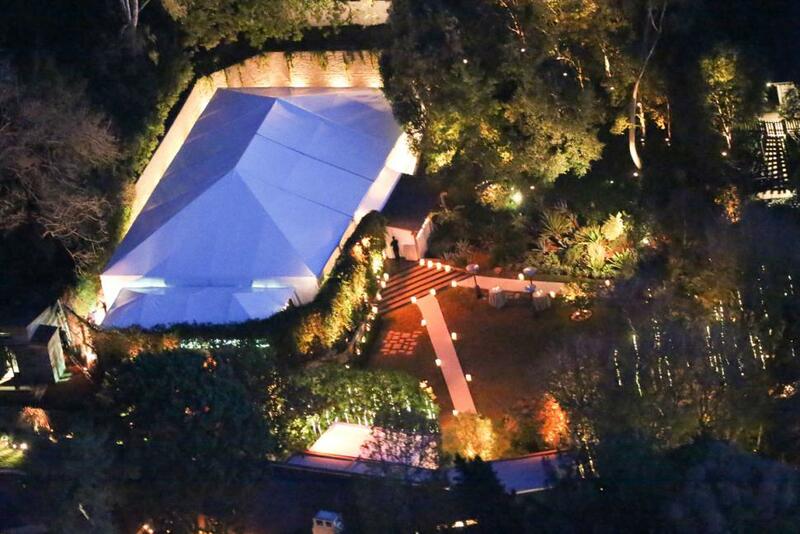 Wedding planners had to “keep the wedding hush-hush” and tell neighbors all the fuss was about the upcoming pre-Golden Globes party, a source said. “We couldn’t be happier to begin our new journey together surrounded by our closest family and friends,” the newlyweds said. More than 90 people had been invited to the event, including actresses Reese Witherspoon and Gwyneth Paltrow. The wedding ceremony and dinner took place under the tent in the backyard of their home. Candles, dim-lighting and white flowers added to the beauty of the wedding day. “It was a big wedding, but they still managed to make it feel very personable,” a People’s source told the press. “Only their families and very special friends attended. It felt very down-to-earth and sweet.” Listen to the news report on the wedding below. Good Charlotte kept low-key last year, but not the Madden brothers: Benji and Joel came up with their own project, The Madden Brothers and released their debut studio album, Greetings From California, in September 2014.